China says arms sales to Taiwan are the cause of Sino-US defence tensions. But even if they stopped now, ties would be chilly. The poor state of Chinese-US military ties were laid bare earlier this month at a leading Asian security conference. 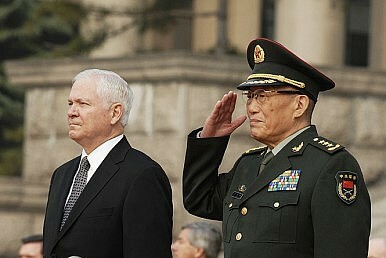 In his June 5 speech to the Shangri-La Dialogue in Singapore, US Defence Secretary Robert Gates expressed annoyance at the refusal of the government in Beijing to allow him to visit the People’s Republic of China during his trip to Asia. He went on to express regret that the United States and China hadn’t managed to establish a ‘sustained and reliable’ defence relationship despite repeated attempts and substantial growth in their economic ties. China has also been willing to act on these complaints, suspending various military visits, exchanges and other defence contacts with the Pentagon in retaliation for major US arms exports to Taiwan, including freezing military cooperation for the remainder of the Bush administration after the White House notified Congress in October 2008 of its plans to sell Taiwan $6.5 billion in defence equipment. In this first in a series on the region’s navies, The Diplomat looks at how to measure naval power—including the US and China’s.